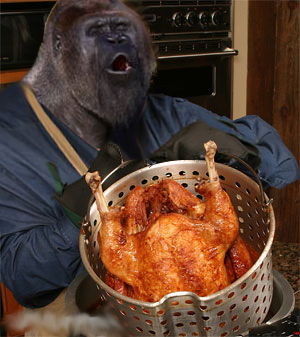 This entry was posted in If Gorillas... and tagged cool gorillas, deep fried turkeys, gorillas, gorillas eat meat, what gorillas eat. Bookmark the permalink. ← Maybe the terrorists have won!